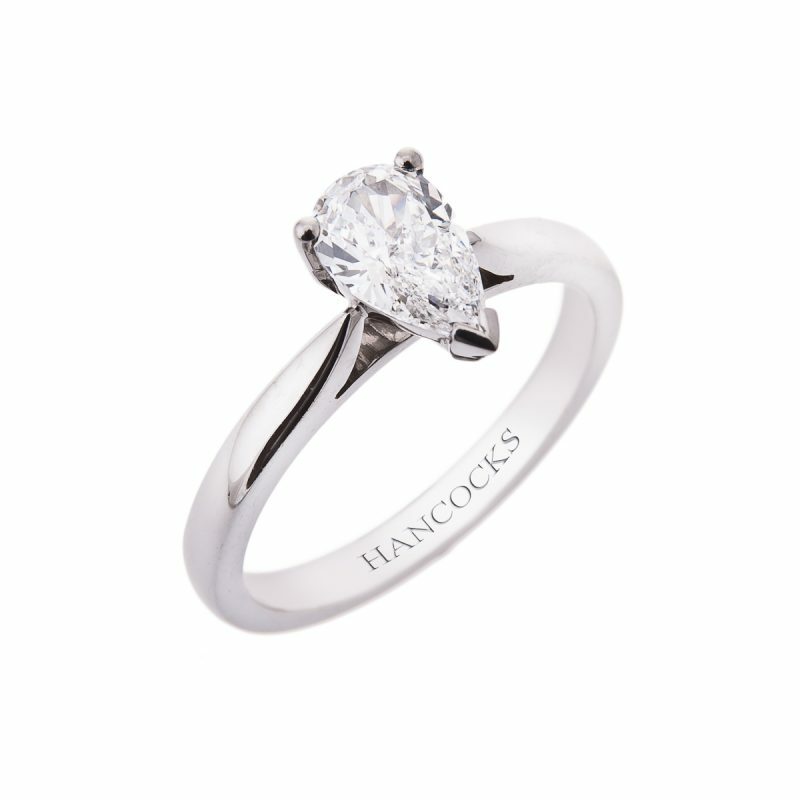 A certificated pear cut diamond single stone ring. 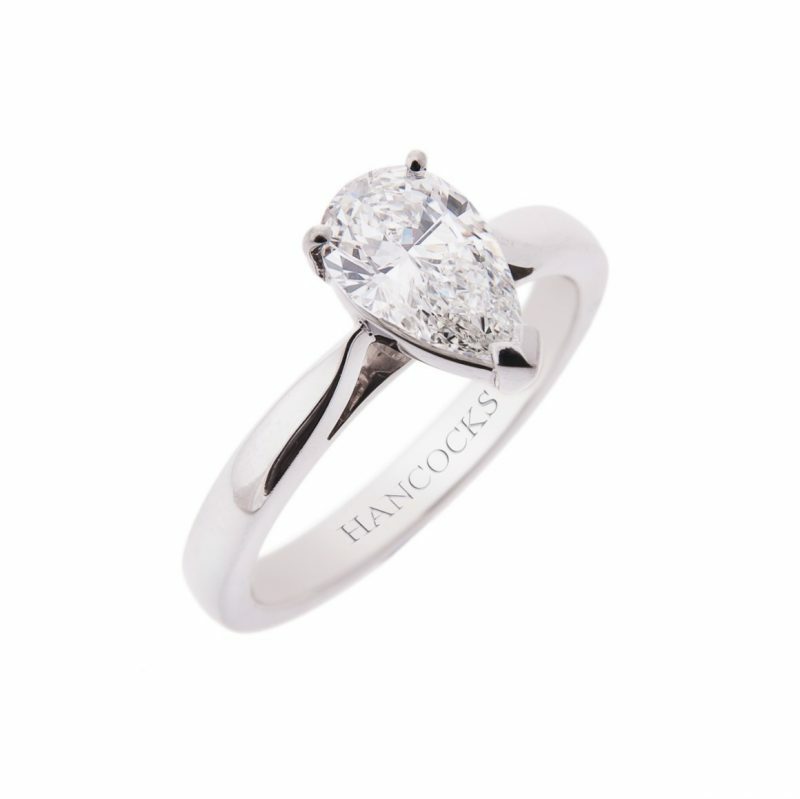 To showcase and enhance the diamonds existing natural sparkle we have chosen to mount this pear cut diamond in a very simple and understated platinum claw setting featuring a secure V-shaped capped claw to accentuate its beautiful shape whilst holding perfectly in position. 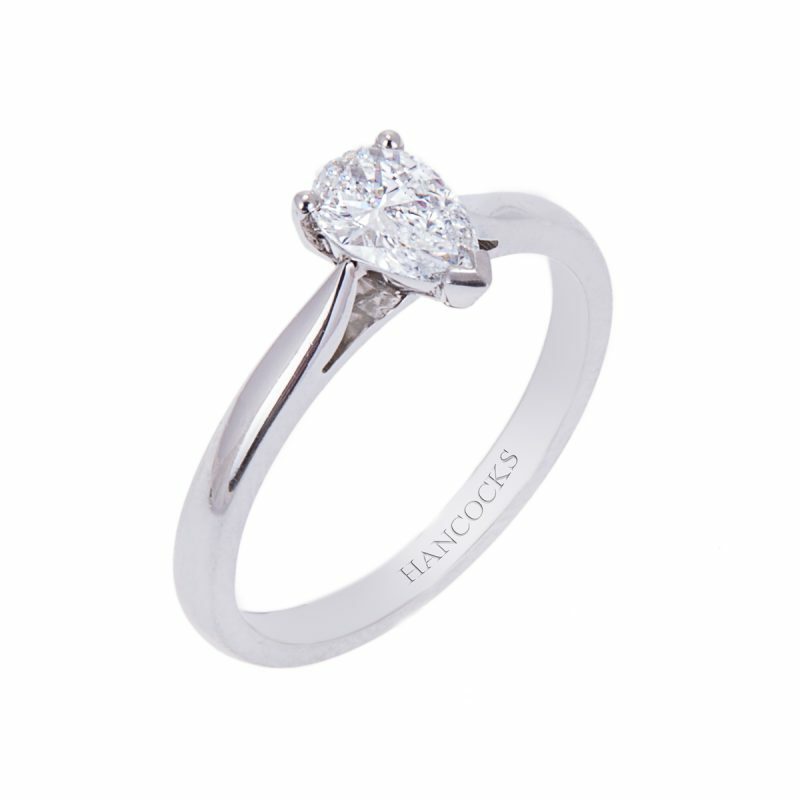 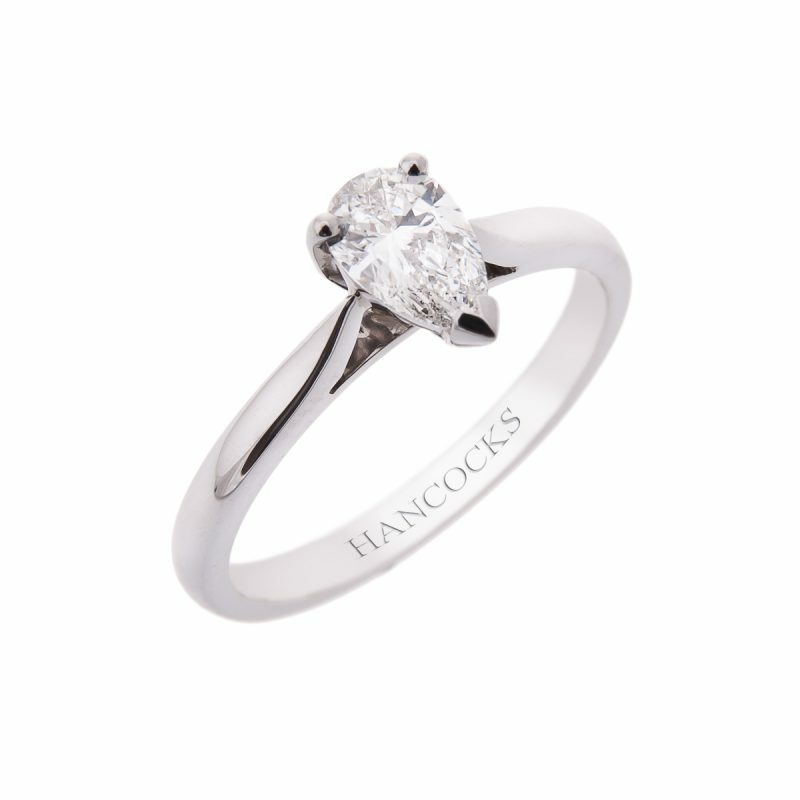 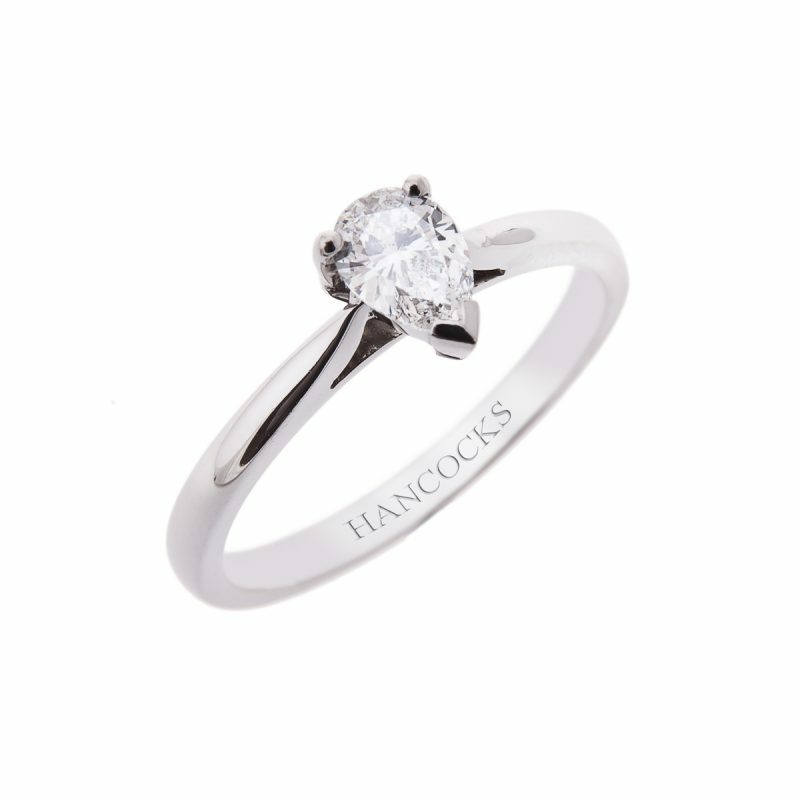 As timeless as it is stunning this sophisticated ring makes a perfect choice as an engagement ring, its sculpted under bezel setting allows it to fit snug next to any Hancocks wedding bands.